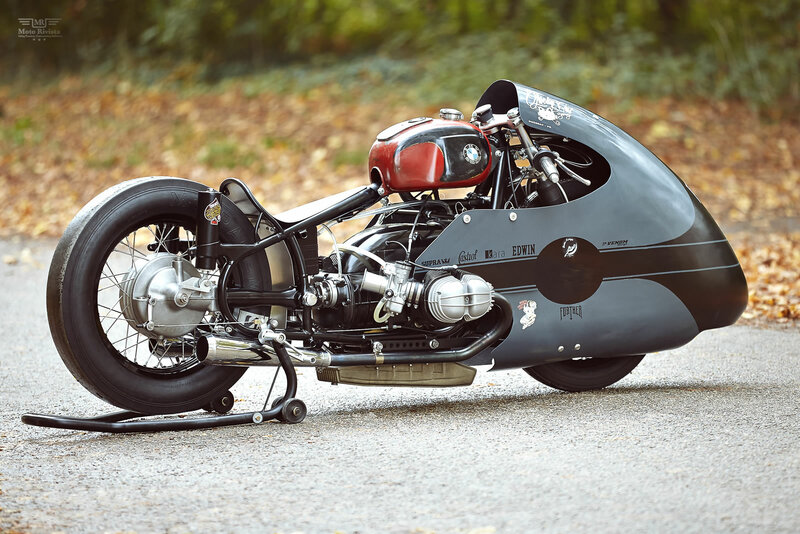 Today’s feature build Sprintbeemer is an excellent example of creative imagination and flawless execution. There are no instructions or shortcuts to a build like this one, put it this way; it’s a one of a kind build that not only looks good but goes fast too. I am curious to know the source of inspiration for such a creation and the man behind this aerodynamic design. “My name is Sebastien. I’m 38 and a happy father of 2 lovely kids! I’m also known by the nickname SonicSeb and now also wrenching under the label “The Lucky Cat Garage”. Speed on 2 wheels is my religion. Building and riding special bikes is the way I live my devotion. I’m building all kinds of special bikes for myself for more than 20 years now. 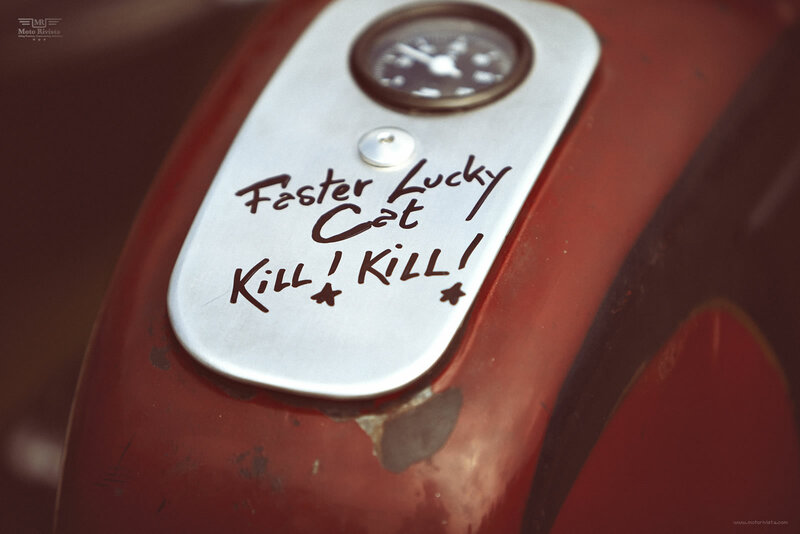 First my interest was into hot rod and the kustom culture when I was a teenager. I was really interested by this colorful world with crazy graphics around powerful engines. 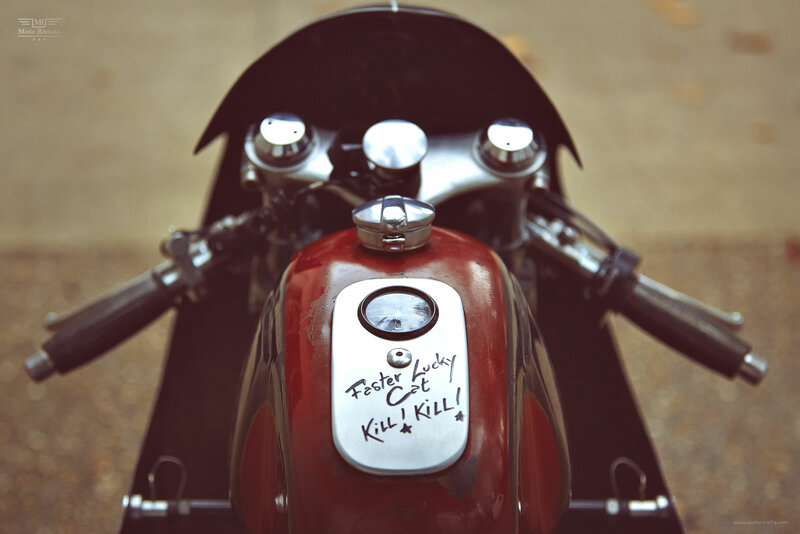 After that I discover the pleasure of speed with bicycles and mopeds. Since that point I knew I was in need of more speed and motorcycling came like something crucial into my life. 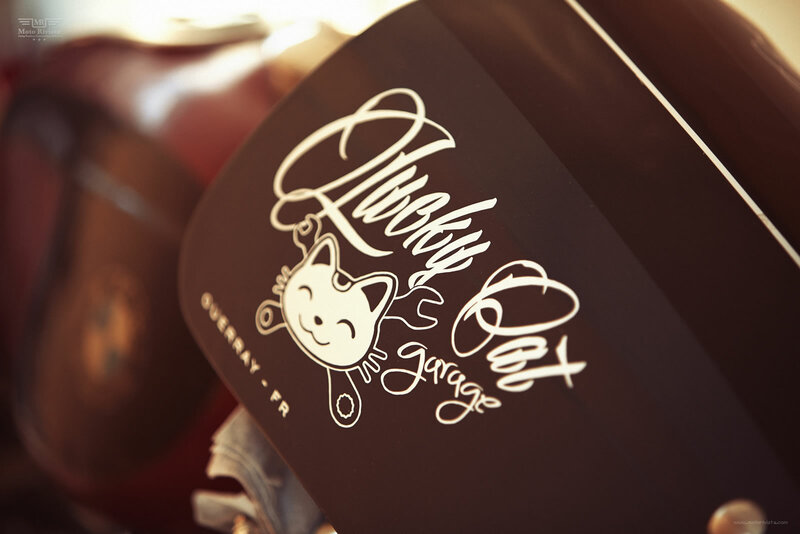 The Lucky Cat Garage is a personal and experimental project and not my main job for the moment. My philosophy is to build bikes on purpose and not just for styling. I am convinced forms follow functions and it can’t be vice a versa. When the overall design is made I then go for the painting and sometimes some ornaments. I’m not a true disciple of the Modernism principles. The body shape and the volume are first determined by function. Then paint, graphics and details support or contradict this shape. These “ornaments” are not a crime if they make sense in the overall project story. This is quite theoretic and I must admit that I would like to keep all of these considerations not too serious. This is just a combustion engine and some pieces of metal with two wheels after all! Thank you Seb, now lets get down to the build of Sprintbeemer. 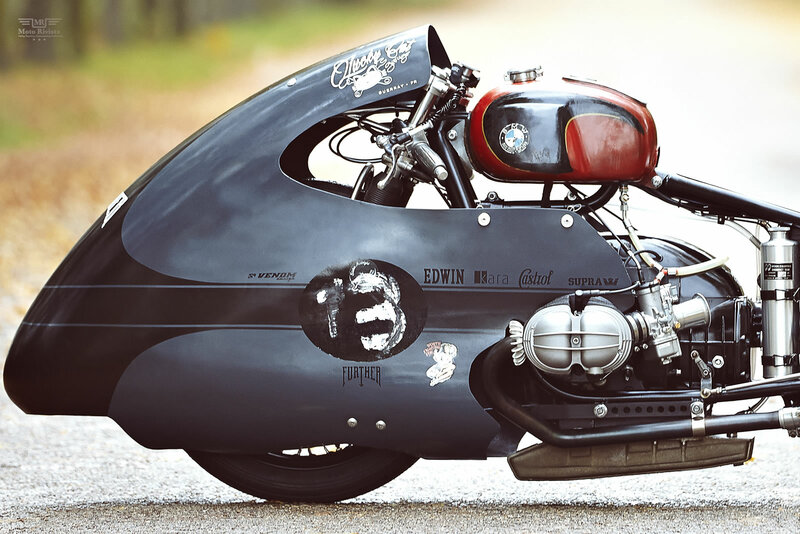 The frame on this Sprintbeemer belongs to a BMW R50/2 (from the 50’s), which was modified with a seat loop. 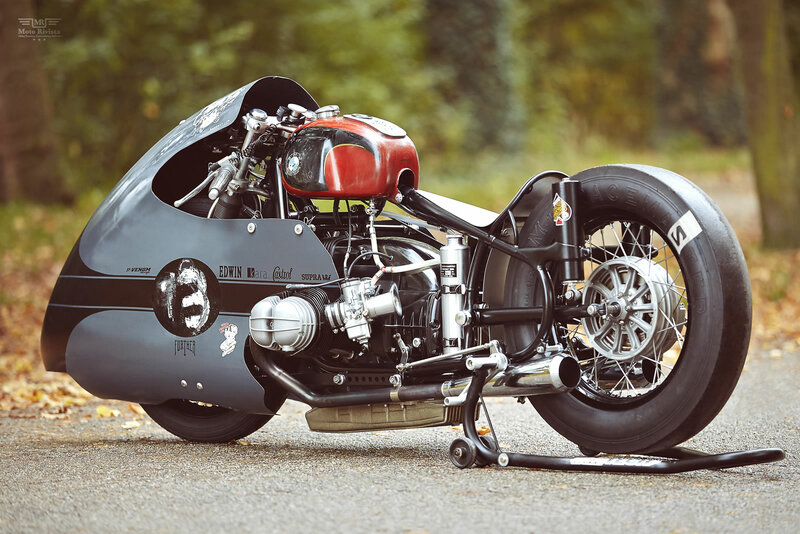 The Swingarm is from a BMW R100/7 modified to fit into the frame. At the front Sprintbeemer features a shortened fork from a BMW R75/5 (1969) with machined lower triple tree mounted on top. Lets not forget the life saving BMW R75/5 duplex front drum brake with modified: air scoop, vent holes and a lot of machining of the wheel hub to save weight & improve the surface finish. The handlebar features clip-ons from Menani, Tomaselli style levers and Domino GP throttle with Amal style black glitter grips. The awesome looking tank is an unknown brand, barn find with the BMW “Bastille” dealer decals already affixed. 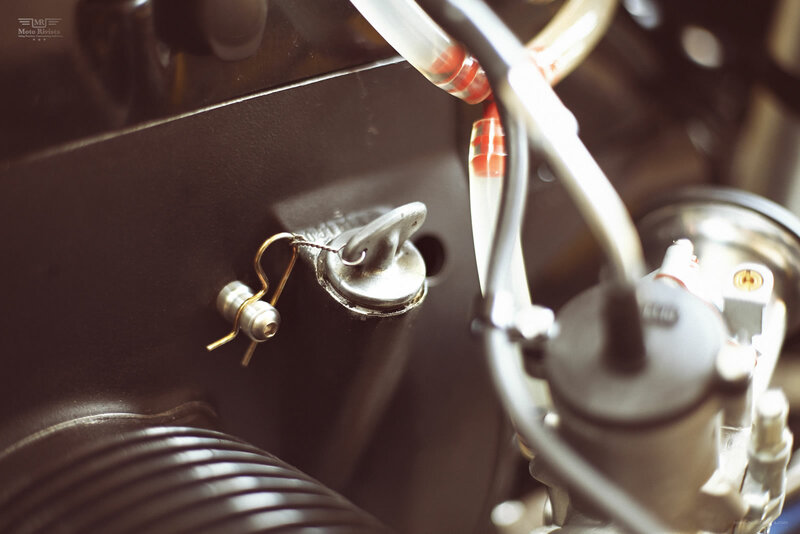 It most likely came from a 50 French or Italian sport moped and was just slightly modified with a high flow petcock, aluminium monza cap and temp meter mount. The incredibly crafted MV Agusta style fairing dustbin is from Airtech Streamlining. The fairing brackets are one-off bolted on the frame and are removable brackets with quick release system. 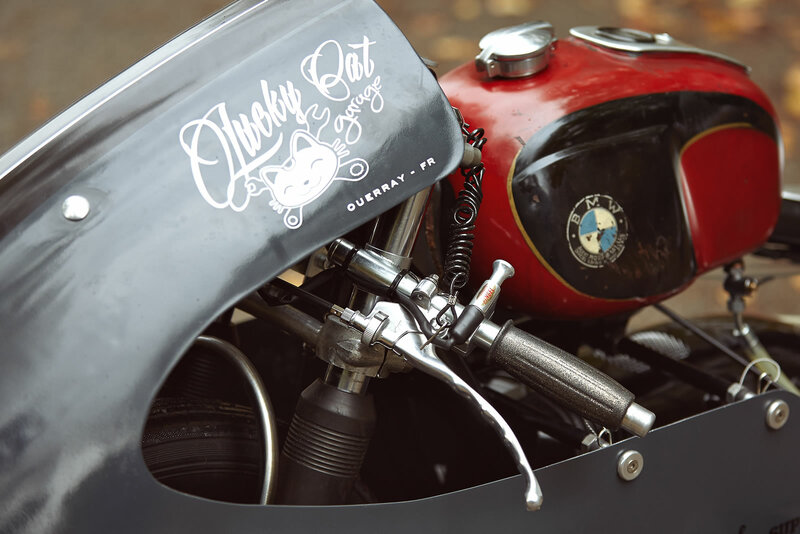 The rear of this Sprintbeemer incorporates a BMW R100 drum brake modified with vent holes and machining of the wheel hub. The rear suspension features adjustable billet aluminium struts hidden in the original shock covers. 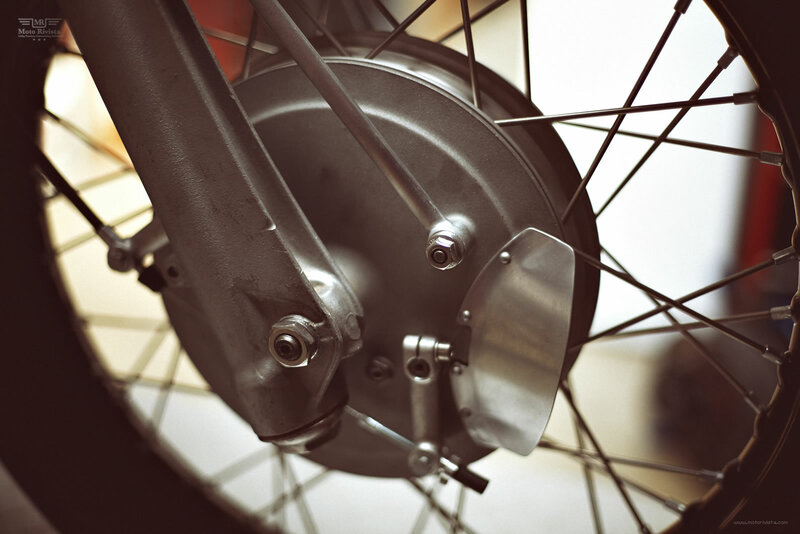 The BMW R100 rear drum brake was modified with vent holes and machining of the wheel hub. 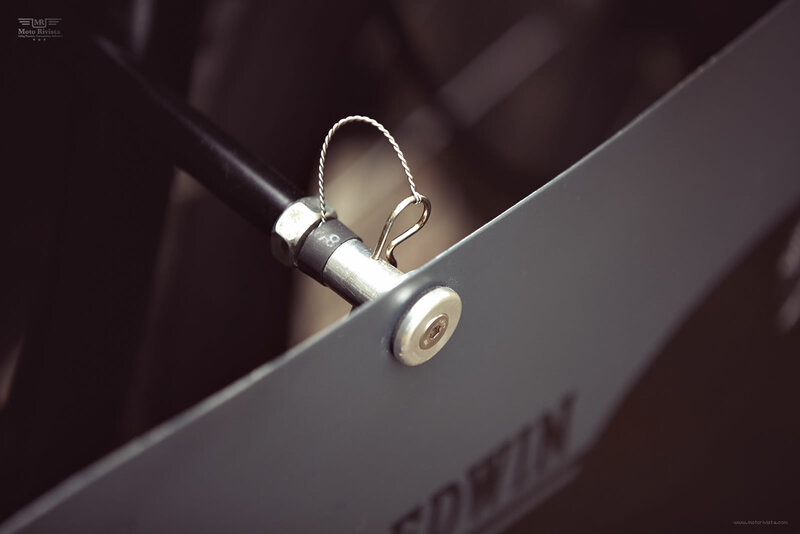 The seat is a one-off handmade aluminium seat pan bolted on a one-off loop welded on the frame. 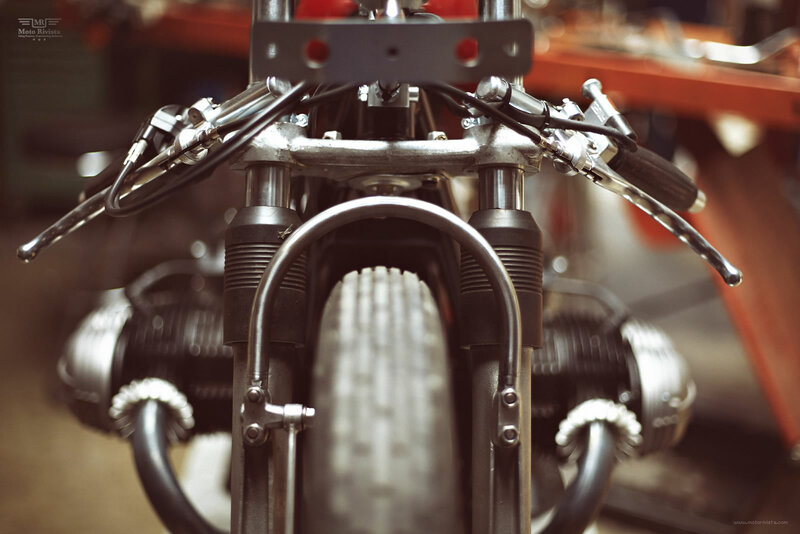 The rearsets are from Tarozzi with one-off brackets. The front of Sprintbeemer rolls on an Excel black anodized aluminium wheel with stainless steel spokes wrapped in a 19-inch Avon Speedmaster tire. While the rear houses an Morad black anodized aluminium wheel with stainless steel spokes and wrapped in 18-inch M&H Racemaster. 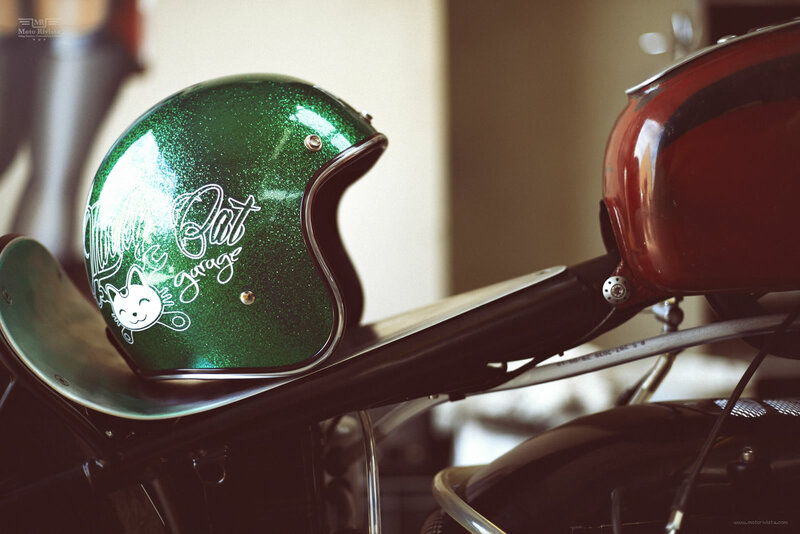 After you have feast your eyes on this gallery, take a look at this Custom Yamaha XS650 also built by SonicSeb.